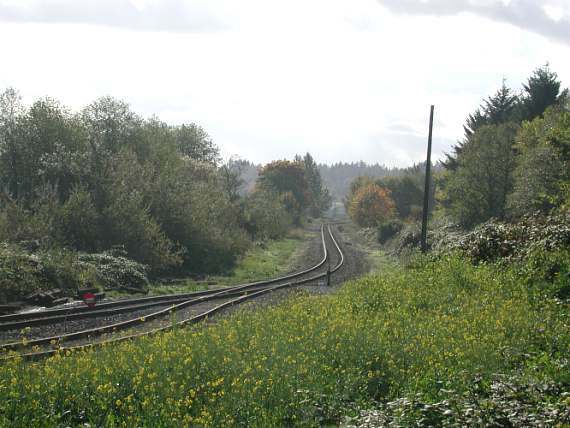 The small rail yard comes to an end toward the left of this image. And the single track takes the BNSF away from Everett, Washington and toward the unseen Cascade Mountains, and beyond. It is autumn, and the camera contends with harsh, but welcomed, sunlight overhead.